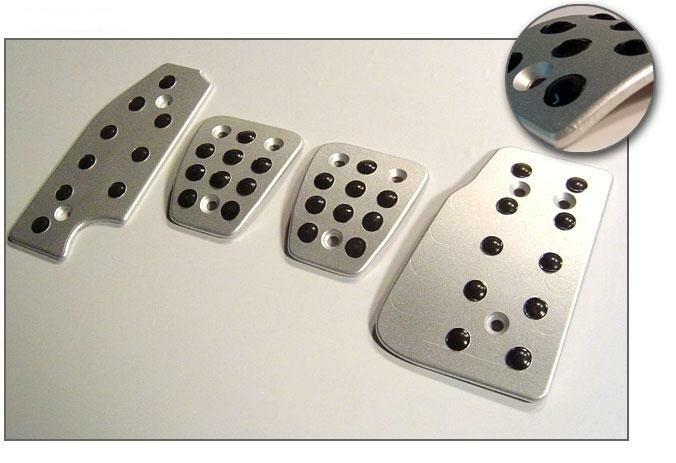 ViVA Performance is excited to offer custom Aluminum Pedal Covers for your Volvo S60, V70, and S80 models. These covers are made of Aerospace Grade 6061 aluminum with a variety of surface finish styles available. The pedal covers simply bolt onto your cars current plastic pedals. 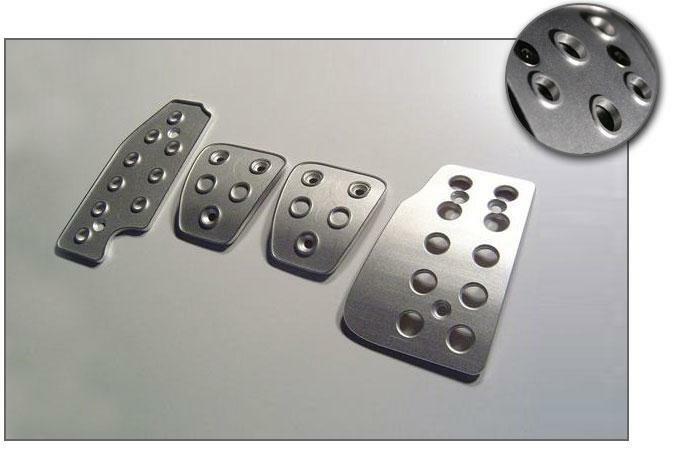 The pedal covers are available for both manual and automatic vehicles. Each kit includes enough covers for gas pedal, brake pedal, clutch pedal, and dead pedal. 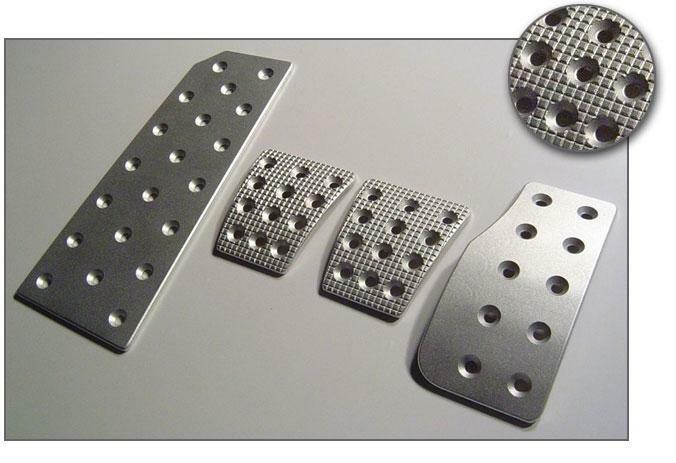 This heel guard is designed to provide pockets to lock your heel in place while driving. It also protects the carpet from wear and tear as well as any damage. If your carpet is already worn, this Heel Guard can be placed over the worn out area. The Heel Guard measures 10.5" X 6.5" and screws into your existing carpet/floor mat.